I am excited to share the new Occasions and Sale-a-Bration catalogs with you. There are many new products for all Occasions through the Spring. Our Sale-a-Bration is our biggest sale of the year. When you place orders of $50- or more from our Annual or Occasions catalogs or even our Clearance Rack, you will earn free products from our Sale-a-Bration catalogs. There are two items in that catalog that you can earn with $100- order. The rest of the products are with a $50-. When you order $100- or more, you will have the choice of choosing two $50- items or one $100- item. It is noted in the book. This is also the time to get great savings on your products by purchasing the Starter Kit. This year we have 2 Options for you. Option 1: Get $175- worth of Stampin’ UP! products for just 99-. Both options have free shipping. Option 2: Get $175- worth of Stampin’ UP! 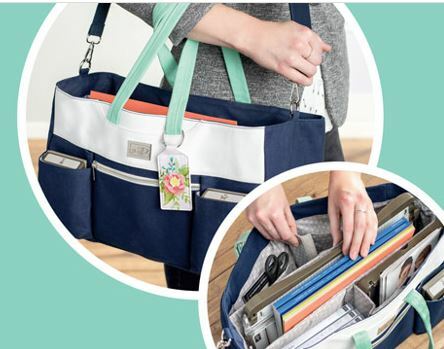 products and the exclusive Craft & Carry Tote (valued at $50) for just $129-. Did you know that when you purchase the starter kit, you actually earn a 20% discount off EVERY purchase till June? The only requirement is to meet your quarterly minimums. If you don’t there is no penalty. You simply become a Customer again. The biggest perk is that you become a member of our Team FUNatics! You will have access to our private Facebook group, where we share ideas and get Stampin’ Up! information. We also meet quarterly to stamp, talk about techniques and share card and 3-D ideas. We also make wonderful friendships. If you are not local, you can still participate on my Facebook Live events as well as having access to our private Facebook group. I am also here for you to help you with any questions so you can enjoy creating or take it to the next level and begin a business. I would be happy to chat with you and answer any questions. You can contact me at Stampfuantics@gmail.com and I will give you a call. If you are ready to join us click Join the Fun!